Just when I thought I'd get back on the blog train to happyville.... BOOM. Another period devoid of writing anything. 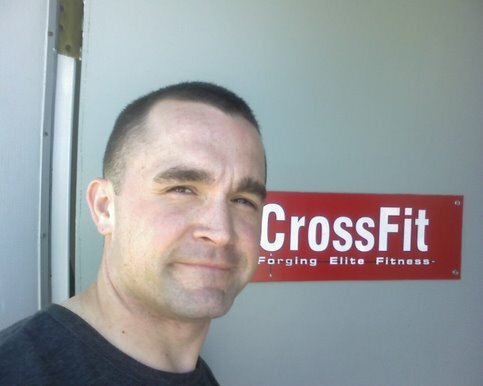 What's a Crossfitting, paleo eating, happily married Marine Officer to do? I guess my expectations are unrealistic. This little thing of mine is supposed to be a labor saving labor of love. A workout logbook to prevent me from keeping a workout logbook. But whenever I reassert my intent to resume writing I once again backslide into silence. The dogs have appreciated it and I've made the time now that I'm at home with all the post deployed leave. After reading De Vany's new book I took to the idea of tking ramblin walks. Since the pooches need the exercise and i enjoy the contemplative time we take half hour walks and I'm tryig to condition them to even longer walks. I cracked the books and finished The Paleolithic Solution by Robb Wolf and The New Evolution Diet by Art De Vany. Now I'm reading Lights Out: Sleep, Sugar and Survival by T.S. Wiley. Reading may not be a WOD but it's been refreshing the roots of the tree if you'll allow me the romantic allusion. I'd be better off getting my head caged right than getting into my squat cage. I heard a trite but true turn of a phrase: happy wife, happy life. This isn't about me and my tranquility though. My life has been incredible blessed by a wonderful woman. So whatever we can do together, we do. This simple life hack has created more peace of mind, has assisted my transition back to 'real life' and led to more incredible memories for both of us. We move, live, work, run, lift, love and eat. More barbells, fear, joy and bacon. Who knows if I can actually get through a linear back squat program or ever press 200 lbs. But I will keep doing work.